The report from the wildlife monitoring network TRAFFICK recommended that "Thai authorities should establish a close working relationship with Facebook and develop joint strategies to tackle this problem." BANGKOK — A wildlife monitoring group says research it has conducted since 2016 has found a sharp increase in the number of people belonging to Facebook groups in Thailand where endangered animals are bought and sold. A new report by the group shows screenshots of exotic animals advertised for sale on Facebook. In one example, an unidentified user posted a picture of a rare hornbill bird with a caption saying “a baby rhinoceros hornbill is available for purchase. Interested buyers, please contact by Facebook private message.” The bird’s price was listed as 9,500 baht ($289). The report said rarer and protected species command higher prices. The report said the vast majority of animals offered in the online wildlife trade were juveniles, prized for pets. The illegal wildlife trade is not new to Thailand, where wildlife seizures are often announced by authorities. In 2013, Thailand was considered to have the largest unregulated elephant ivory market in the world but it has since instituted new laws to deal with the problem. 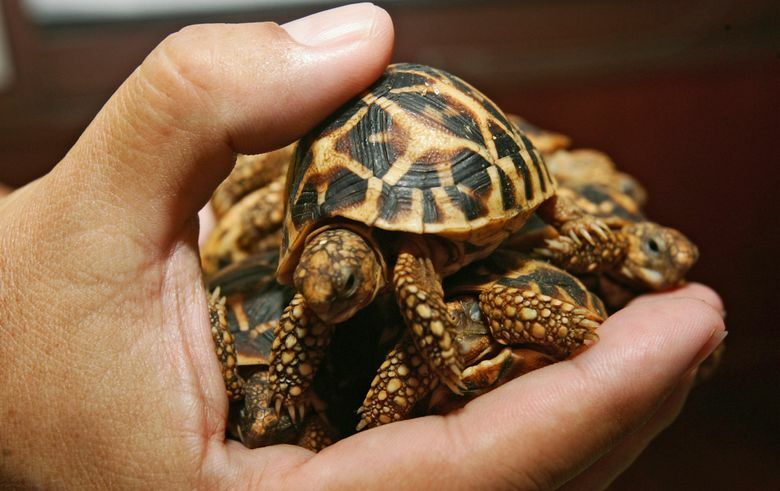 TRAFFIC said its research found 200 different species offered for sale online and 95 of those, mostly reptiles, were not protected by Thai law because they are not native to the country. It said animals such as the black pond turtle that are not native to Thailand and therefore not protected by Thai law frequently turn up in wildlife seizures in the country and region. “Growing online wildlife trade will only pile further pressure on threatened non-native species that currently have no legal protection or regulation,” Kanitha Krishnasamy, TRAFFIC’s acting regional director in Southeast Asia, said in a statement. “Giving such species protection under Thailand’s law and enabling enforcers to take action is the strongest way to address this critical conservation problem,” Kanitha said.